The current-canon universe of “Star Wars” books from Del Rey and Lucasfilm is continuously expanding, with the latest releases “Captain Phasma” and the short story collection “From a Certain Point of View” making their ways to the top of fans’ must-read lists. Today during the Lucasfilm Publishing panel at New York Comic-Con 2017, the company revealed a sequel to this past spring’s hit novel “Star Wars: Thrawn” by renown science fiction author Timothy Zahn. “Thrawn” was based on a character originally created by Zahn for the now-called-“Legends” novel series– beginning with “Star Wars: Heir to the Empire” back in the early 1990s. 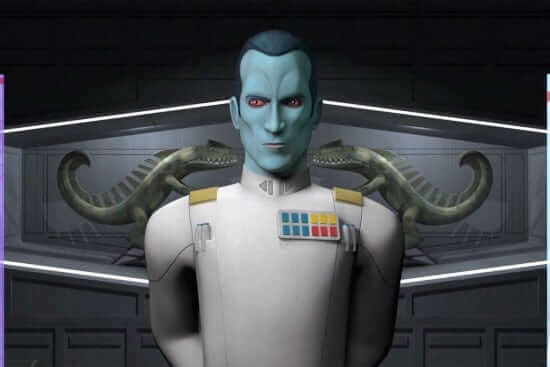 Grand Admiral Thrawn was wiped clean from Star Wars canon by Disney after the media conglomerate purchased Lucasfilm several years ago, but was reintroduced in the popular Disney XD animated series “Star Wars Rebels” last year. 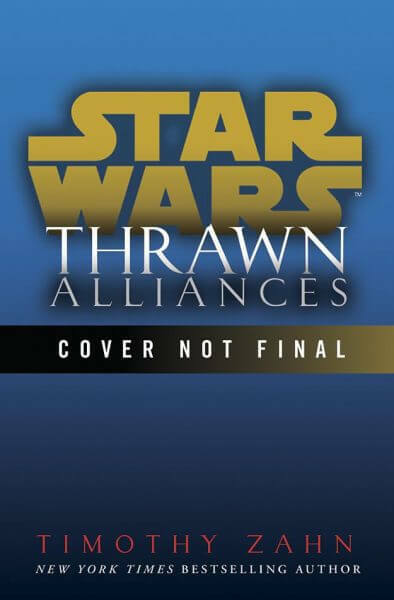 According to the announcement made today, the new novel “Star Wars: Thrawn – Alliances” will feature appearances by none other than Darth Vader, and is expected to hit retailers in July of 2018.